Taste the fine wine and food of the famed Stellenbosch Winelands on our bicycle wine tour. 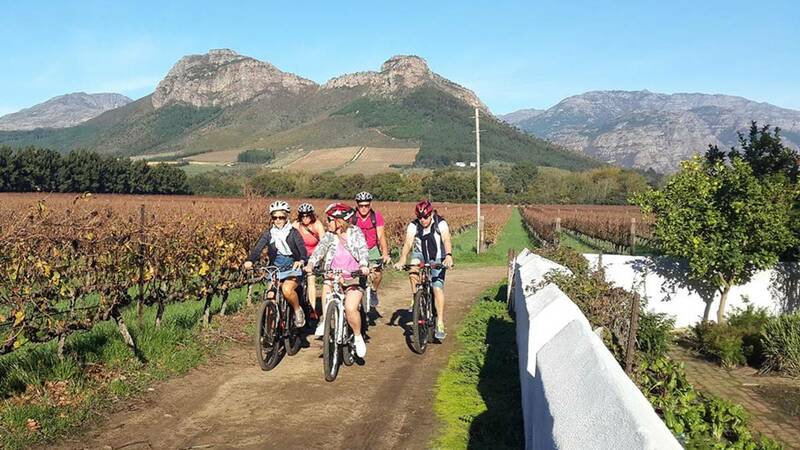 Cycle amongst the historic vineyards of the Stellenbosch wine region whilst stopping en route to sip some of the world renowned wines of the region on our bicycle wine tour. Other attractions are the amazing bird life such as South Africa’s National bird, the blue crane. After the tour we finish with an amazing gourmet lunch while relaxing under the cool trees of Somerbosch wine estate.